How do some people appear to be more confident in every situation? They seem to walk into a room and have confidence oozing out of their pores! 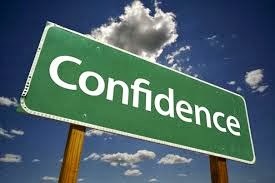 The amazing thing is that being confident is a skill that can be learnt. Here are some tips to boost your self confidence in any networking situation. It is possible to convey a confident first impression without even uttering a word. Research by communications experts have shown that non verbal communication, the way you look and the way you move is more than 80 percent of someone’s first impression of you. Not a single word needs to be said! People are able to pick up various facets of your personality from the way you look and how you move. We are constantly being bombarded with information and to make sense of the world we make quick judgements about situations and people. People take an instant mental picture and make judgements of up to 11 things about you – from what they think you earn, to your personal hygiene and these impressions can last for a couple of months. So it’s vital that we learn to create a great first impression. 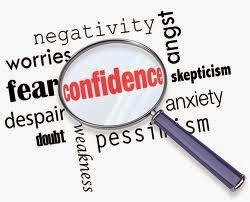 So what are some of the things that you can do with your body language that will immediately boost your confidence? The easiest way to come across as charismatic and confident is to stand upright, with your shoulders back, head looking up, smile on your face and a have a direct steady gaze. Mentally rehearse standing tall and see yourself mixing confidently and effortlessly with people. Imagine that you are meeting an old friend, partner or client that you have lost touch with. Use your senses to make the mental film more vivid and enjoyable. Notice how you are standing and moving in this film as you feel great. You’ll soon find yourself coming across confidently. I often walk into networking functions where I do not know anyone, but I manage to leave with lots of contacts that would love to meet me after. So what was my little trick? I used to walk across the room with a confident posture and with certainty. As I walked if any of the people made eye contact with me I would smile and nod in acknowledgement. In their minds they would be thinking “Maybe I know this person? He seems to know me.” I would make a mental note of these people but I wouldn’t stop until I had reached the other end of the room and then I would do an about turn and confidently walk back to the person who I had acknowledged before and introduce myself with a simple “Hello” and a smile. Finally make sure that what you wear is in line with the personality and the impression you want to create. Dressing right will certainly help boost your confidence.